your GIF animation, playback and sharing needs. No other app does everything Gifzign does. All in one: no more jumping between apps. GIF Creator. GIF Editor. Cinemagraph. Screen Recorder. GIF Player. All in one….Gifzign has it all. Forget owning 5 different software for your GIF needs. 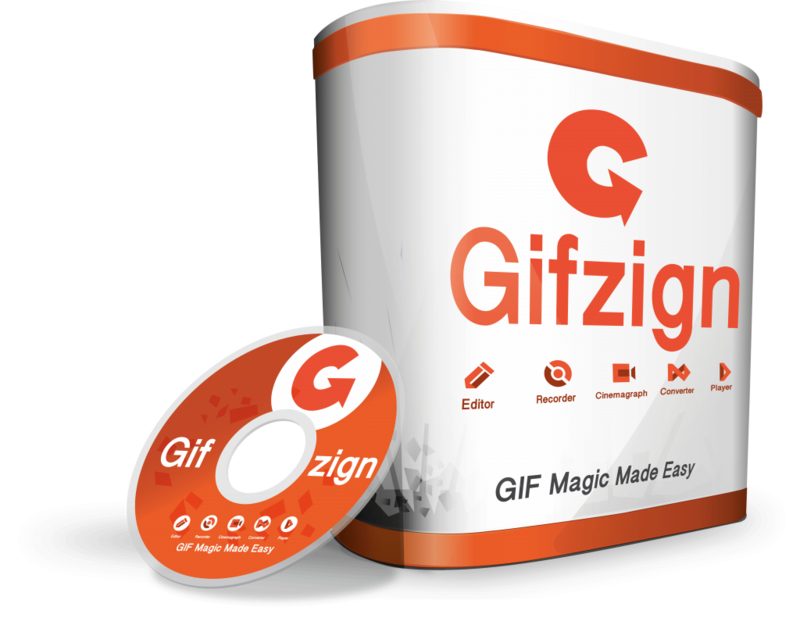 Gifzign is the only software on the market that combines all the GIF functionalities you will ever need in one interface. Turn any video on Youtube, Vimeo or your computer to a GIF in just a few seconds or record from your screen or camera. Customize your GIFs with text, images, or over special effects like looping, instagram-like filters, cinemagraphs and more. Instantly publish your GIF with a beautiful custom player with the embed code generated by Gifzign on the web. Need a new GIF in a jiffy? Using the built in GIF converter feature, simply upload any mp4 or paste in a Youtube or Vimeo URL and hit the “Beam me” button. Your GIF will be ready to edit instantly. And if you feel like sharing some important information or a quick tutorial you can also record your screen any time in Gifzign! Add your own text and images, fast with the GIF editor. Edit your GIF so that you can make an impact. Set the start and end time, add a text layer on top of the GIF, upload your own images, logos or watermarks, and add various looping effects (ping-pong, reverse). And for best results, set the quality to Vintage, Grainy or HD to make your GIF count. Supercharge your marketing with cinemagraphs. Ever wanted to create those cool cinemagraph GIFs in a fun way? With Gifzign it’s incredibly easy. Simply select your still image and brush off the area you want to keep moving… You might as well call it “GIF Magic”. GIFs are now social, and to stand out you will need more than the good old Nyan Cat. Gifzign comes loaded with an exclusive mirroring feature, negative effects, color filters and more done-for-you effects that allow you to stand out on social media. We love GIFs, and we believe they should be adorned in beautiful ways. Gifzign comes with 10 different GIF Player styles with dynamic behaviors. Simply upload your GIF to the Gifzign dashboard and choose from 10 different player skins. More customisations options will be added. Have your GIF player automatically play when loaded on your site. Either let your visitors load your GIF by clicking it, hovering onto it with their mouse or make the GIF magically play on scroll. Once you have completed the GIF setup simply copy the embed code to your website and make your GIFs stand out. wait until you see our world-exclusive feature, Gifzign Mockups. GIF Mockups: Make An Impact. Our latest innovation, and the ONLY gif animation app to provide this: GIF mockups. Simply create your gif, choose the frame you want to surround it with an publish. You get 20 mockups to choose from to make sure your GIFs stand out. When you purchase GIFZIGN through this bonus page you will also receive the following special Early Bird Bonuses. If you use Youtube or Vimeo videos on your blog you need to see this! The only way to add beautiful, responsive video frames without writing a single line of code. It is as simple as 1,2,3. Simply upload the Video Frames plugin from your WordPress dashboard, and you’re all set! Select from over 40 different video frame styles to suit any videos you wish! Video Frames works anywhere on WordPress, this includes pages, posts or even your sidebar. Easily design stunning banners and Ads in minutes with BannerSuite. Comes with over 40 templates, 100’s of icons, and endless possibilities. Comes with comprehensive performance analytic; tracks and records a detailed performance report for every campaign. You can easily see how each campaign is doing and optimize. Brand new app creates stunning notification bars to boost conversions, promote your offers and grow your list in only 3 easy steps. InfoBar solves a HUGE problem – getting your visitors attention and engaging them into taking action. AND GET EVEN MORE BONUSES! 100% white label Hangouts and video graphics software with integrated membership system. Whitelabel Licenses included: resell and keep 100% of the profit. 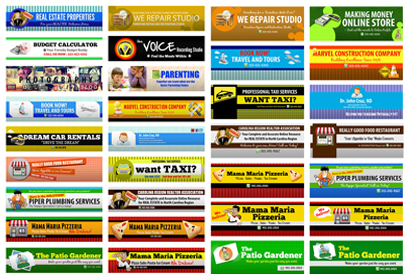 100% white label header and banner graphics software with integrated membership system. Thanks to it WYSIWIG interface, even non-designers can take control of their marketing. Header And Banner Editor makes the whole process simple, eye catching, glitch free and a pleasure to experience. When you choose Gifzign5 today, you will receive the entire HUGE bonus collection above from me. This is a way for me to say Thank You for liking my recommendation. When you reach the Gifzign checkout page you will need to see the ID 57951 as the referral ID. This will not be in the URL. It will be in the small gray text section at the bottom of the page. See image on the right. If you do not see this ID you are not buying through my link and will not see the bonuses available to you inside JVZoo. After making your purchase, the bonus will be instantly made available inside Gifzign Member’s Area. If you can’t locate them for any reason, feel free to get in touch with me at support@creativesourced.com and I’ll help get you sorted right away.